In 2001, I stepped away from the only tech company I'd ever worked for, and recalled with amazement that a company that, when I started working with in 1991 had 300 people, when I left they had more than 30,000 people working for them, and had grown to be one of the dominant tech companies in the world (and very briefly, they were THE most valuable company in the world). I joked with people for years that, if I could go back in time and redo anything, there was no question what it would be... sell every share of Cisco stock I owned on March 24th, 2000! Alas, that was not meant to be, but even with the resulting decline, we had enough shares saved up that we could effectively, at the time I had the most shares, lived off the proceeds and had enough money to replace my income for five years. Not enough to retire, by any means (and nor would I want to) but enough that I was open to experimenting and trying different things without too much stress of losing everything. Connectix counts as trying a different thing. 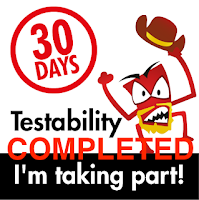 In some ways, I was still a tester, but in others I definitely wasn't. I was hired on as an Applications Engineer. I wasn't entirely clear as to what that meant, and truth be told, if you asked five different people what it meant, they'd give you five different answers. In a way, I was a senior tester with direct communication to big accounts, which also put me in a position to be a consultant to customers as a top level support rep. It made for an interesting mix of work, and I enjoyed working with both the Quality Assurance team and with the support team. for the first time in my career, I had an office I could call home, and a team that would come in and discuss the challenges they were facing, and I would either offer advice or try to see if I could replicate their results and try to find ways to solve the problems they found. Sometimes I was very successful at this. Other times, not so much. A good friend of mine worked for Microsoft at the time, and it was fun to head up and talk with her when I was there, and as I explained what I was doing with the applications I was working on, she told me what was actually happening... "Microsoft is sizing your company up. It's a good bet they want to acquire you! You might want to consider where near Redmond you'd like to live!" Interestingly enough, that would prove to be true, but not for awhile. 2001 was a year of intense transition in the tech field. It seemed no company was immune. Just about everyone went through some kind of "tech sickness" and shed people for various reasons. Connectix was no different. September 11th happened while I was there, and I remember arriving to work early that morning, and my co-worker Sheri told me a plane had crashed into the World Trade Center. I thought it was some idiot joyriding in a Cessna. I went to my lab, turned on the radio... and sat motionless for three hours trying to take it all in. As I heard some noise outside the lab, I came out and saw everyone gathered around a TV on a cart, and we all sat dumbfounded at what we were seeing. We all knew that somehow, the world had just changed. We didn't entirely understand how much, but we would soon. One of my most pleasurable memories of the time at Connectix was managing the user forums and helping to answer questions where I could. In many of the forums, there was a guy who was just phenomenal. the crazy things this guy would do with Virtual machines was just, well, awe inspiring. I talked with our management team and said "we have to get this guy on board!" After some additional inquiry and communication, we discovered he was in Australia, and was just barely 21 years old! Still, I lobbied hard to get him out here and onto the company payroll, and fortunately, most of the management team agreed, the kid was a genius, and was a welcome addition to the team. Within a short time, we were paired up as a duo of Application Engineers. January 29th, 2002 started like a normal day, and it was as I was getting things ready for the morning when our HR director asked me if I could come in for a meeting really quickly. I said sure, and I walked into our main conference room. Slowly more people would come into the room, and as I noticed that each person seemed to be from a different organization, a sinking feeling hit me. Something's up, and I don't think it's going to be good. A few minutes later, our CEO walked into the room and said "I'm not going to keep you in suspense. This is a lay-off." It was a first for me. I've been underemployed at various times in my life, and I've been in positions where I was able to make a jump from one spot to another, but this was the first time in my working life, ever, where I'd actually been laid off. As I looked at the room full of people, there were some good people in that list, some surprising people, but often, that's how it works. People get fired for under performing a lot, but in layoff circumstances even good people get cut. I'd been lucky over the previous fifteen years, I guess it was just my turn. Still, getting laid off felt like getting the wind knocked out of me, and it was happening at a time when the pendulum had decidedly swung from boom time to bust. I was not relishing the thought of being unemployed in a down economy. I would spend the next three months working feverishly to try and find a new job. I interviewed with a lot of old friends, and went to a variety of job interviews. Just a year ago, I was a hot commodity and could take my pick of where I wanted to work. Now, however, I found it very difficult to get an interview anywhere, and most of the interviews ended at the first round. Not enough experience, too little automation experience, no knowledge of industry standard tools, no college degree, I didn't have five years programming experience with J2EE (hey now, J2EE hadn't even been OUT for five years, are you KIDDING ME?!!). Still, I kept looking and one of my friends got me an interview with Synaptics, a company known for making touch devices to go into laptops, as well as various devices that were being used on products that were being developed for a new generation of devices called Ipod's and smart phones. 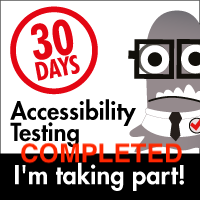 I figured "hey, I'm a tester, I can test anything!" Maybe. Then again, maybe not, but you'll have to wait until tomorrow for for me to tell that part of the story. - Some of the best "testers" I had the pleasure to work with were the customer support engineers. They had a clear line into the real pain that our customers were feeling, and they helped articulate it in a way that we could all understand and boil down to the issues we should be focusing on. - Being a top level support person helps you to start thinking on your feet really fast, and sometimes the ability to talk someone of a ledge is more important than having an immediate fix. Customers appreciate candor, and if you can't promise them a fix, tell them that. - Sometimes you have to question another company as to why they picked what they did to be a representation of your product, and yes, even the mighty Microsoft has to be told from time to time that their recommendations and matrix doesn't make sense in some cases. - Some people joked with me that, had I not lobbied so hard to get the Whiz Kid from Australia out to work with us, I'd still have a job there (LOL!). Well, no, I doubt it, and frankly, if I had it all to do over again, I'd have made the same recommendation. I'm proud to have championed him coming here, and in some ways I like to believe I have some credit in having come to the U.S. and making a name in the Virtual Server space (if you don't know who I'm talking about, do some Google searching and you should be able to figure it out ;) ). The point is, there's a very real chance that someone is going to come along and show you up. You can either act defensively and block their opportunities, or let the chips fall where they may and let the talent rise to the occasion. In this case, that's exactly what happened, and he deserved it :). - Microsoft ultimately did purchase Connectix, and the organization was absorbed into Microsoft. Those who were retained were (mostly) moved up to Redmond. In this sense, it was a blessing that I didn't have to make that decision, as it would have been tremendously unpopular with my wife and children. Sometimes things happen for a reason, and we have to accept that, even if at the time, those happenings don't appear to make any logical sense. - It's easy to get discouraged when you lose a job, and to that effect, it's critical to keep a cushion in your savings account that can help you absorb such a blow. I was fortunate in that I had plenty to keep us afloat for a very long while if necessary, but I certainly didn't want to burn through it. Still, if it did turn out to be a lengthy spell of not working, we had the emergency funds in place that we could roll with it. From that experience, if its at all possible, do whatever it takes to gather together three to six months of emergency savings, enough to replace your income for that period of time. It makes a world of diference when you interview. It will help stave off desperation. This finishes off the first decade. I hope you'll join me for Decade Number Two starting tomorrow :).